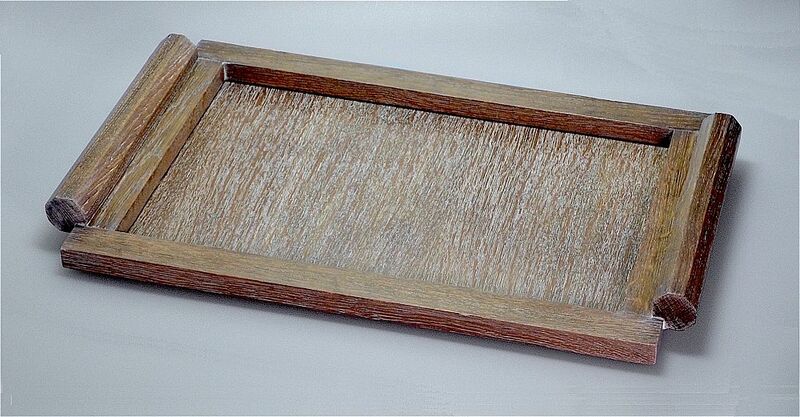 This Art Deco tray is made of limed oak. The design is very practical as the rectangular tray has a sunken centre and raised flat edges making spillages unlikely and the long hexagonal handles are easy to hold. A handsome and extremely useful item.